The brilliant developers at WowWee have taken their world beating Robosapien humanoid robot and added a range of new features. Designed by a NASA scientist and standing 14” tall, he’s now known as Robosapien X. Adding to the already impressive features like dynamic walking and running as well as fully functioning arms with gripping hands, the robot can be fully controlled by smart device apps available in iOS or Android versions. 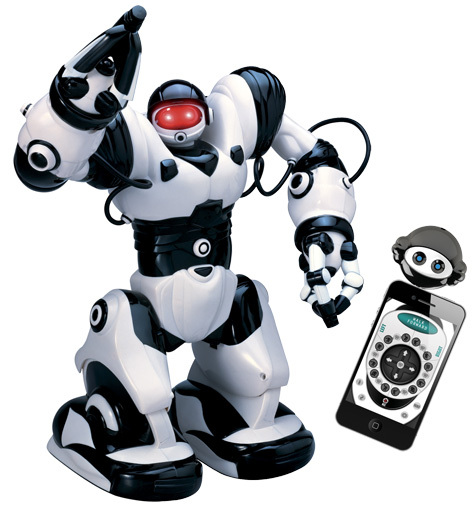 Distributed by Trends in the UK, Robosapien X can be programmed to do virtually every task direct from your smart phone. He can be programmed to perform lifting tasks or even instructed to walk a certain path and return to base! Advanced features make this robot one of the best of its type. Please tell us what you think of the Robosapien X by Trends UK and WowWee.